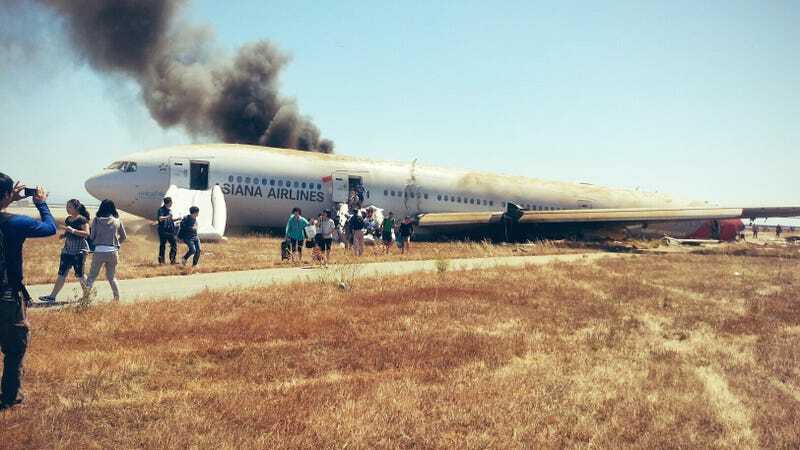 Back in July, Asiana Flight 214 crashed at San Francisco International Airport. Now, the National Transportation Safety Board has explained that the accident occurred because the pilot didn't understand the plane's computerized auto-throttle system. According to interviews with the flight crew, pilot Lee Kang-kuk set the throttles to idle, believing on-board computers would keep the plane at or above the minimum speed required for landing. That wasn't the case. Instead, Asiana Flight 214 lost too much speed and, ultimately, sadly crashed, killing three. Early reports has claimed that there was a fault with the auto-throttle system. But the National Transportation Safety Board report points out that the pilot in charge of the flight was still being trained on the plane. He just hadn't been properly taught how the throttle system worked.